I’ve just in the past week returned from a trip to Scotland, where it was such a joy to be out in all sorts of weather with the dog taking landscape photographs and to catch up with friends. One of the main things I was able to do, was to shoot the sky. I’ve always been reticent of shooting skies, as I would either get a hideous colour cast, or get the exposure wrong so some part would be under exposed or blown out. However, with practice and some better filters I think I might be there. During my trip, aside from “doing” Loch Tulla, Glen Etive and Glencoe, I did visit Ardnamurchan (with Tim and Charlotte) and then I ended up near Arisaig, which is up near Mallaig beyond Fort William. 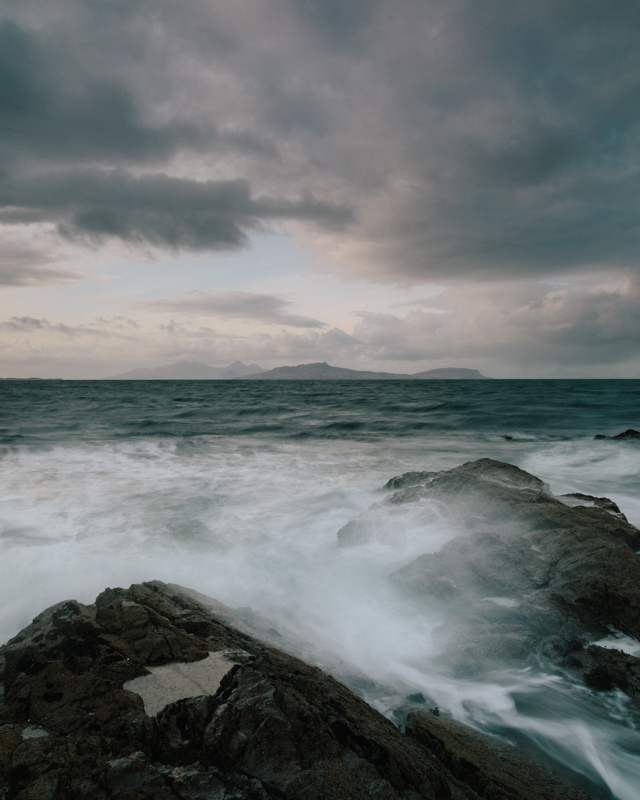 This gave me an opportunity to do some seascape photography, something which living in Sheffield I seldom (if ever I think) get the chance to do. One thing I was able to do, when shooting these seascapes, was to use my “long lens”, which is usually reserved for shooting my lad’s rugby matches and not for doing landscape photography. Through using the “long lens” I was able to compress the scene, bringing elements in the foreground and background together in to the same shot. 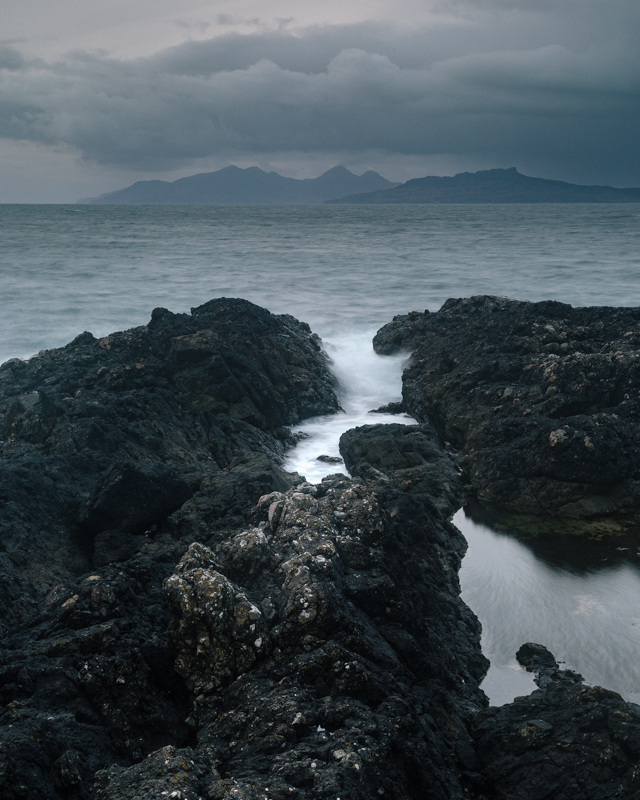 I am particularly pleased with the shot (below) of Eigg and Rum, taken from the mainland near Arisaig. 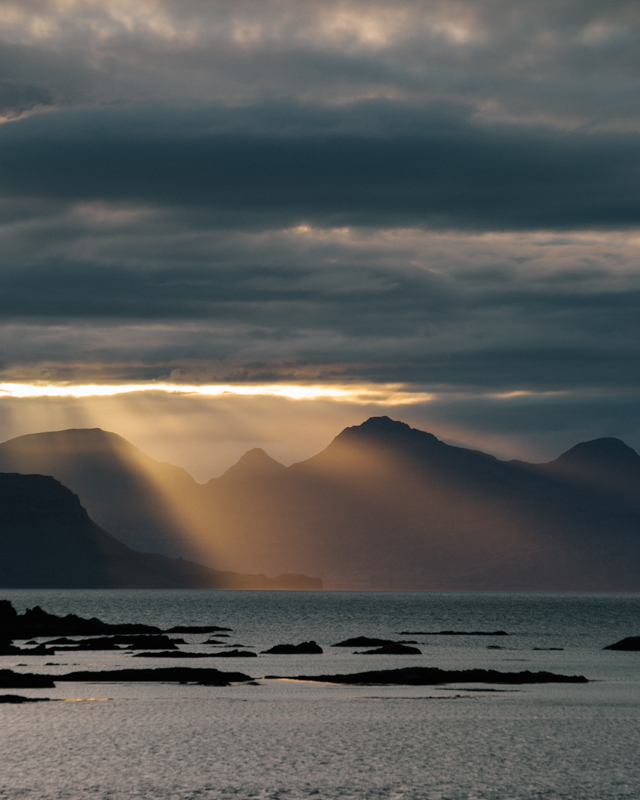 You can see more landscape photography from my recent trip to Scotland in my Scotland gallery.